Pay-per-click marketing will only work for you if you are turning a good profit for your advertising investment. Use the simple calculator below to see about how much revenue a pay-per-click advertising investment could generate for your business. IMPRESSIONS - when your potential client searches a keyword relevant to your business, google's adwords pay-per-click system will display your related text ad on page one and this is called an impression. there is no cost to incur impressions on google. 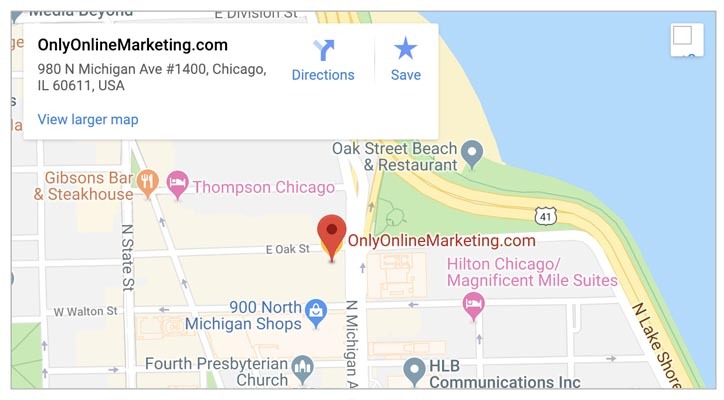 CLICKS - you only have to pay google for a click when you get the result you want, which is a keyword targeted click on your text ad specifically, which means you only pay for keyword targeted visitors and traffic to your landing page/site. 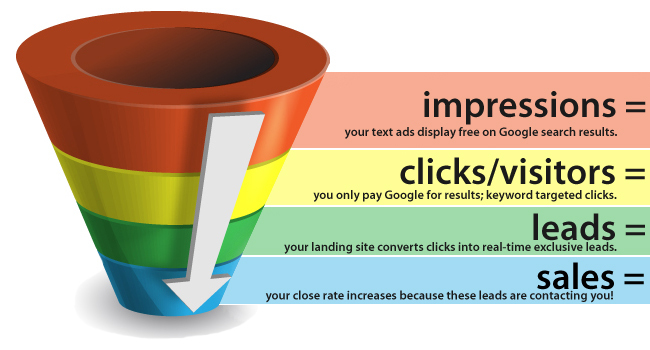 LEADS - now that you have keyword targeted traffic from google, for best results, send that traffic to a compelling landing page/site, to get the highest conversion rate possible from clicks into leads. our system has now generated keyword targeted leads actively searching for your business that are contacting you! SALES - now you have real time, exclusive, qualified leads, that are contacting you directly, so close them into sales! you should see higher close rates than leads you may get from a list, from a lead aggregator, or a lead broker. CPC estimates from Google's traffic estimator tool are estimates from Google, not OnlyOnlineMarketing.com. Your actual cost-per-click could be higher than the tool may show, and is determined by many outside factors. In addition, any conversion rate estimates are also just estimates. This calculator is merely used to demonstrate how different percentages may effect your campaign results. The benefit of pay-per-click advertising is that all ppc campaign stats are highly trackable, so we can easily identify any potential weaknesses in a campaigns performance and address those issues using PPC best practices. Impressions estimates assume a 2% click through rate. Campaign management fee charged by OnlyOnlineMarketing.com is 15% of your Google Adwords budget, minimum campaign management fee of $249 a month.